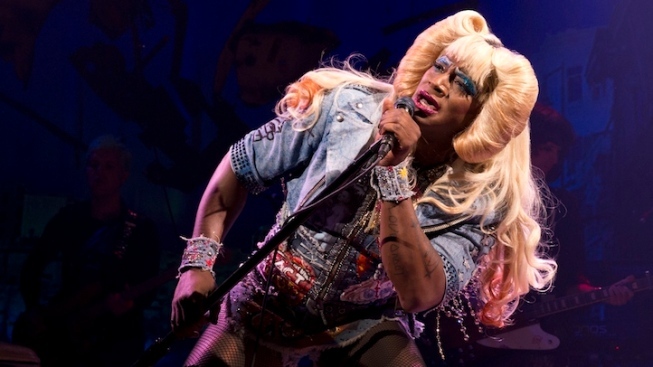 Taye Diggs in "Hedwig and the Angry Inch." The Tony-winning revival of John Cameron Mitchell and Stephen Trask’s “Hedwig and the Angry Inch” will play its final Broadway performance at the Belasco Theatre on Sept. 13. Initially announced as a 16-week limited engagement, “Hedwig” will have played 22 previews and 506 regular performances over 76 weeks at the time of its closing. Six actors have donned the Hedwig wig over the shows running -- starting with Neil Patrick Harris, who won a Tony for the role. Other Hedwigs included Andrew Rannels (“Girls”), Michael C. Hall (“Six Feet Under”), original Hedwig John Cameron Mitchell, Darren Criss (“Glee”) and Taye Diggs, who is currently playing the role. A national tour will launch in Oct. 2016, with productions of “Hedwig” also being planning for London’s West End and Australia. For tickets and more information, visit hedwigbroadway.com.